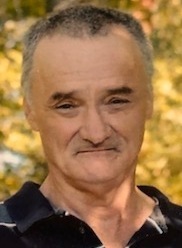 Preston Wade Wootten, 60, of Logansport passed away on Wednesday, July 4, 2018 at Logansport Memorial Hospital. Born on August 13, 1957 in Logansport, he was the son of Floyd and Millicent (Healey) Wootten. He was a 1975 Pioneer High School graduate. On April 14, 1989 he married Marilyn J. Wilson, she survives. Wade was formerly employed at Cole Hardwood for many years. He enjoyed playing pool, throwing darts, tennis and softball. Wade was also an avid New York Giants fan and Nascar fan with Carl Edwards as his favorite driver. Survivors include his wife, Marilyn Wootten of Logansport, daughter, Millicent Wootten of Anderson, mother, Millicent Wootten of Logansport, brothers, Danny Wootten of Logansport and sister, Mary Centers (John) of Logansport. He is also survived by 5 grandchildren and 3 step grandchildren and 9 step great grandchildren. He was preceded in death by his father, Floyd Wootten, brother, Jim Wootten and step daughter, Kimberly Wilson. Services will be at 5:00 p.m., Saturday, July 7, 2018 at Marocco- Rans Funeral Chapel & Crematory with visitation from 3:00 p.m. until the time of the service.